Background/Info: Clan Of Xymox has now been active for more than 30 years. The gothic pride of The Netherlands is striking back with this new opus featuring 12 tracks composed by Ronny Moorings. Content: It always is a real pleasure discovering new work from Clan Of Xymox. Even if you know in advance what the band will bring, I often get positively surprised, but “Days Of Black” went further than all expectations. “Days Of Black” is one of the most ‘poppiest’ albums from the band. 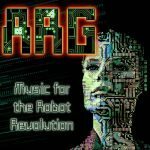 The guitar reminds me once more of The Cure while the electronic treatments create and reinforce the wave-pop approach of the work. 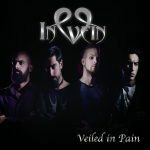 The album reflects power and melodies, dark themes and reverie plus charismatic vocals. 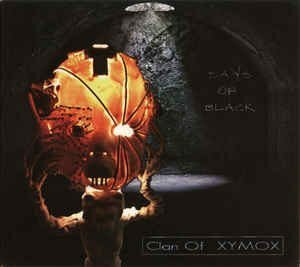 + + + : “Days Of Black” is without a shadow of doubt, one of my favorite Clan Of Xymox releases in history. It for sure is not comparable to their earlier stuff, but that’s just what I like. Ronny Moorings remains faithful to his roots and new-wave basis, but he progressively evolved towards more melodic and harmonious songs. This album maybe means to Clan Of Xymox what “The Head On The Door” (1985) meant to The Cure. I’m not really comparing both bands and their albums, but it’s all about the evolution in sound all over the years. There’s a perfect balance between the different elements running on this work, which finally resulted in a succession of great songs. “Your Kiss” is according to me one of the most essential cuts and potential hits. – – – : I’m not that fond of the intro- and outro-like songs, but you don’t hear me complaining. I don’t have any real negative points, but I can imagine some of the ‘darkest’ souls will maybe not get wild with this poppy direction. Conclusion: When after more than 30 years involvement featuring numerous hits and essential albums, and you can say that a band has just released one of their best full length albums ever, I can only express my respect! “Days Of Black” is a masterpiece! Best songs: “Your Kiss”, “Loneliness”, “Leave Me Be”, “Set You Free”, “I Need To Be Alone”.